One simple act of kindness can propel a child into a career destined to helping others. Teaching is Ida Pablo’s way of paying forward the impact her uncle had on her as a child. This is Ida Pablo’s story and her commitment to making this world a better place, one student at a time. “I have been a teacher ever since I got out of college. Right after college, I went into teaching, because from way, way back, I knew I would be a teacher. I did not recognize it right away, but others around me did. There was a person who made a difference in my life. My uncle was a priest and he was there for me at a time when I was having troubles in high school. He was there for me making sure that I was okay. The impact my uncle had on me as a child got me thinking about how I would like to be in a position where I could just plant the seed and help other people make life better for themselves. So, that is when I got into teaching. I just loved it! I am an early high school math teacher in the Metro DC area. I have taught within a lot of the independent schools here in the area. Right now, I teach at a 6th through 12th grade school and I teach 7th through 9th graders. My husband, Pitch Pablo, also teaches at another independent school in another school district. He is also a middle school math teacher teaching a lot of the same subjects. This is my 27th year as a teacher, and it is my husband’s 35th year. For the first 19 years of my career as a teacher I was working in the Philippines and me and my husband decided to come here to the United States. 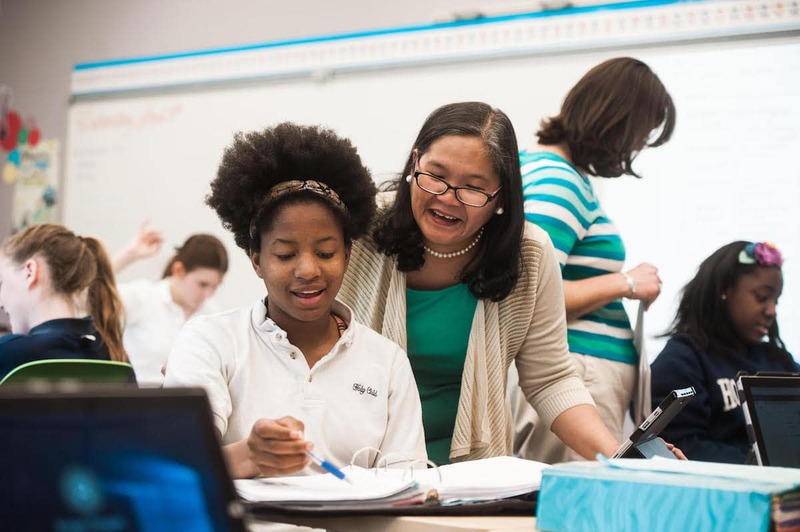 For Ida, teaching is rewarding in itself. But for somebody who chose their career based on a desire to impact and help others, teaching does not provide the immediate and tangible results many other careers offer. 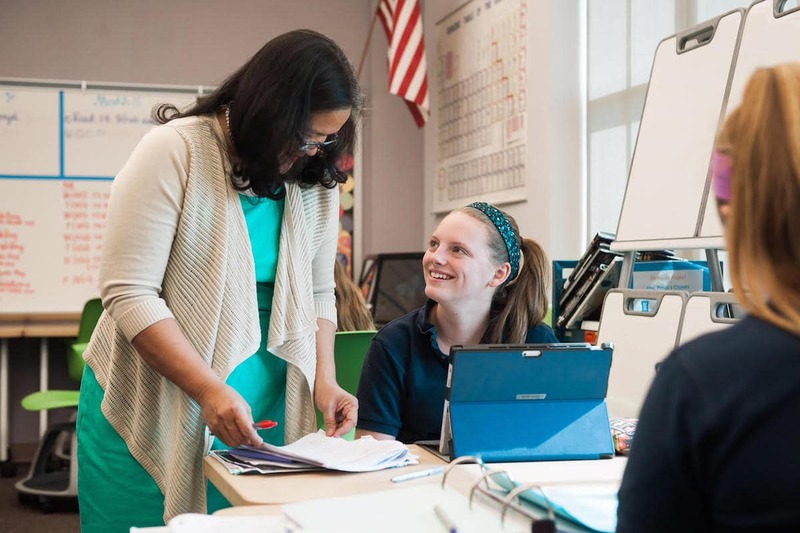 The result of helping others along the way for Ida takes commitment, faith to let go and trust that she has done the best she can for her students. 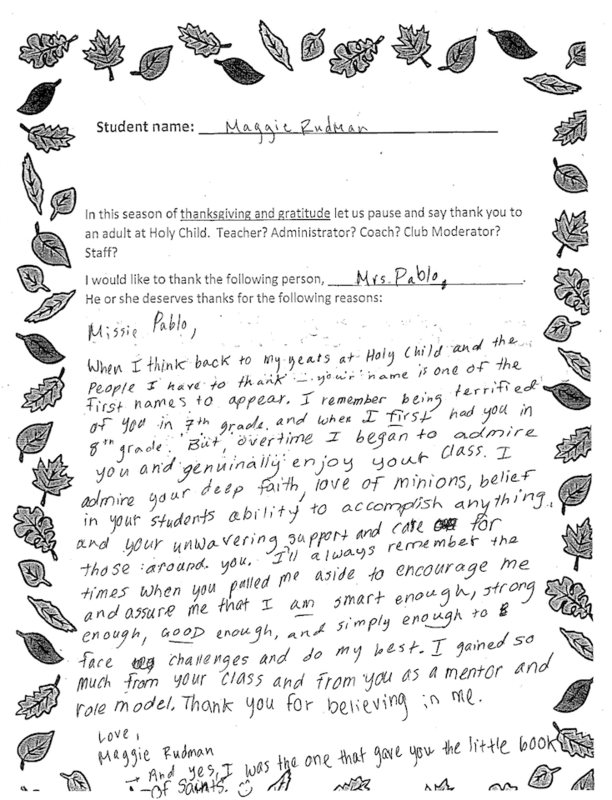 However, it’s the little reminders along the way from students that remind Ida she chose the right career, and she is making the difference among our youth. “I will not leave any stone unturned. I will do everything and anything to make a class perfect. I will help them prepare, I will help them learn and once I have done my job, I have to step back and let them go. Once you learn to let go, there is some peace that comes with that. And our job is different than a chef. When you’re a chef, you get to see the results right there. The product is right there, it’s solid and you see it. But for teachers, it’s not until students come back to sit down with us and say, ‘thank you for what you’ve done. I am who I am right now because of what you’ve done.’ When I experience that, that is the point where I say that I am in the right profession. Stories like this are created every year as students come and go through Ida and Pitch’s classrooms. And they are made possible due to the 50 years of care and service Ida and Pitch give through teaching. For a couple that has been so invested in students and their future, it is only right that Ida and Pitch own a home in the community they serve. Homes for Heroes is honored to help this teacher couple find their perfect home! 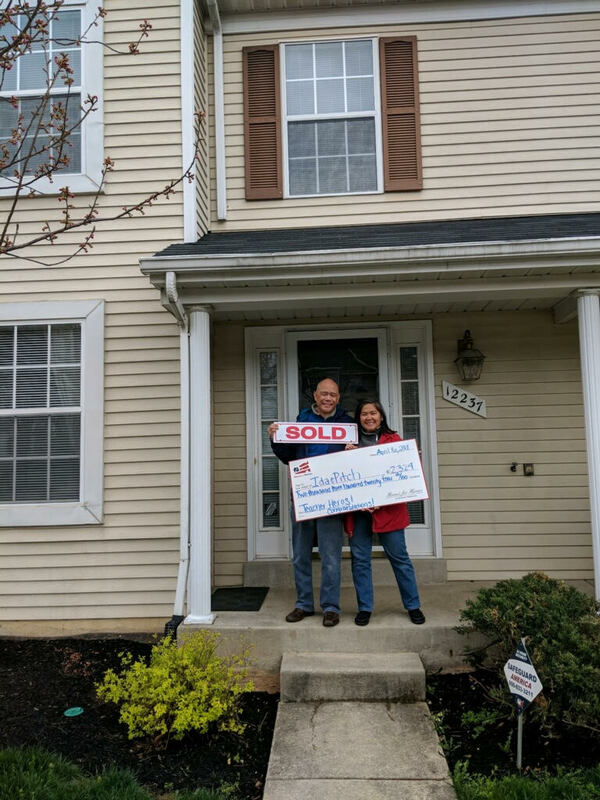 “When we started our home search, we really wanted this single-detached home in Columbia, Maryland. We put in an offer that we thought it was a wonderful and winning offer. But the only other offer that came in on the house was a cash offer. We could not compete with a cash offer. So, then we came across this beautiful townhouse. We continued to look at other houses, but I knew that I wanted to see this beautiful townhouse again. So, we looked at it again and we placed a bid for it on a Wednesday evening, and we won the bid on Friday! We worked with Danielle Mannix to find our new home. She was very efficient, very organized and she was very professional. We really liked working with her to find our previous rental property. So, when we decided to buy a house, we just had one person in mind, and that was Danielle.